This project was created for a recent Blender Artists Weekend Challenge. The theme of the challenge was "undiscovered." 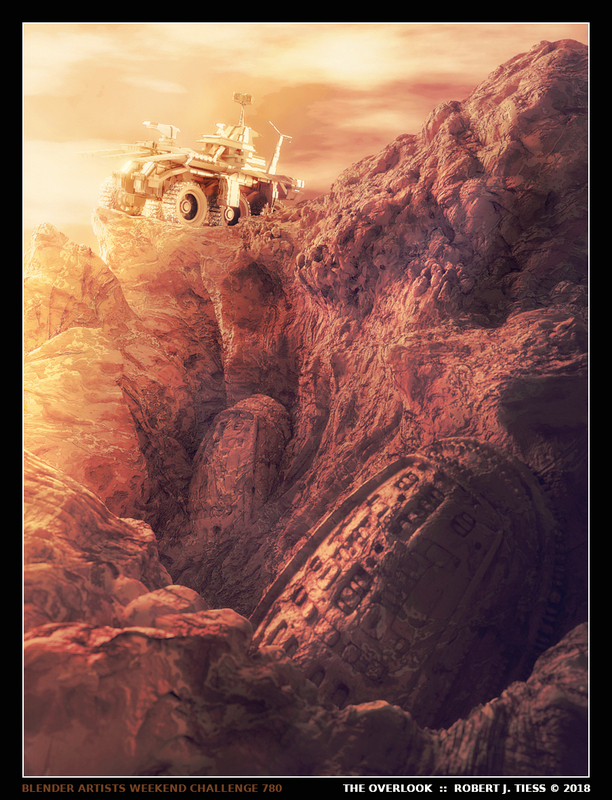 This image was inspired by NASA's Mars rovers and the sci-fi/hypothetical possibility of discovering signs of another/ancient civilization on a planet other than Earth. Only procedural textures were used, along with Blender's sculpting mode and some displacement. The image was created and finalized within Blender.